Members of the North Attleboro planning board visited a Rhode Island medical marijuana cultivation facility run by a Hope Heal Health, a company currently seeking to open a facility in the city. Hope heal health has leased a building in North Attleboro’s industrial park to grow and manufacture medical marijuana products. Before they can begin operations, however, Hope Heal Health will need the OK from the planning board. Rogue also hopes to open a dispensary as well but that would most likely be met with more obstacles than a grow facility. However if both of his proposals are approved, Rogue forecasts 100 jobs with an average salary of $45,000 and $9 million in revenue could be brought to North Attleboro. 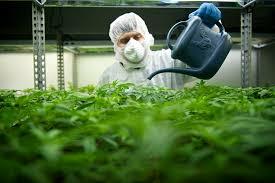 While most of the jobs would be in the grow facility the revenue would rely heavily on the approval of a dispensary. Rogue is optimistic about getting approval but is also exploring other Massachusetts locations to open a dispensary if the board decides that part of his proposal.